Schools are abuzz with talk of Common Core. What are the challenges for students, teachers of writing, and those who write for children? How might the new standards be best implemented to enhance writing as well as reading and information-processing skills? 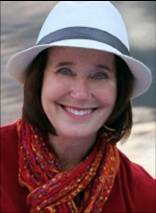 In exploring these questions, I’m delighted to welcome acclaimed author/illustrator Susan Stockdale to Pencil Tips. When it comes to nonfiction, Susan embraces beauty and accuracy. 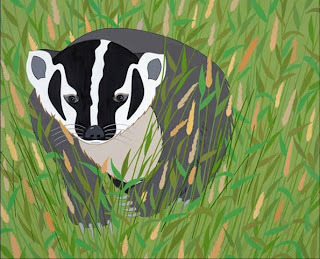 Her books on the natural world, including her newest, Stripes (Peachtree 2013), are scrupulously researched and stunningly presented, both in terms of language and image. Check www.susanstockdale.com for more information on Susan’s books and activities. 1. 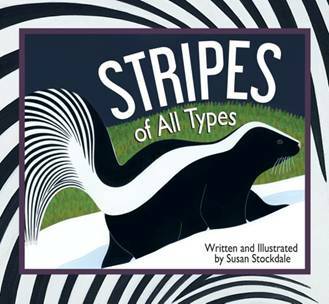 Your new book, Stripes, is in the style of your award-winning titles Bring on the Birds and Fabulous Fishes, with back matter that helps the book to grow with the reader. Can you share your greatest joy in writing and illustrating it? My greatest joy in creating the book was when I determined my approach for writing it. I decided to write rhyming verses for the animals’ habitats and to show each animal in action in its particular home: "Propped on a log,/poised on a leaf./ Scaling a ridge, /and scouting a reef." From a writing standpoint, this gave me the opportunity to highlight where the animals live and use some verbs that might be new to children. From a visual standpoint, I was able to paint some wonderful and diverse environments. 2. What about your biggest challenge? 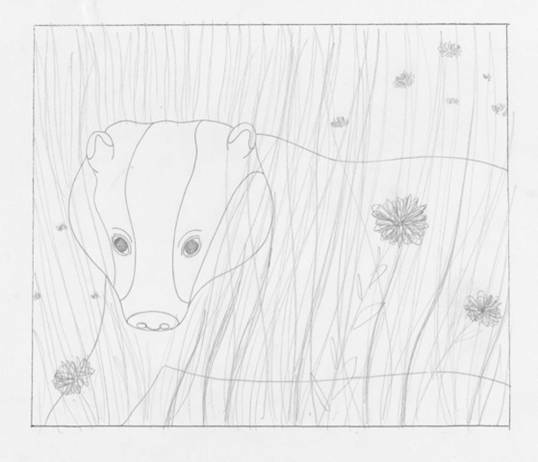 My biggest challenge was deciding which animal to illustrate for each line of text. I had many choices. For example, for my line “poised on a leaf,” I illustrated a zebra swallowtail butterfly, but I considered a Colorado potato beetle, a leafhopper, a red shield bug, a bumblebee, a caterpillar and other creatures. I chose the butterfly because I thought it was the most visually appealing of all my candidates and would be fun to paint - an important consideration! 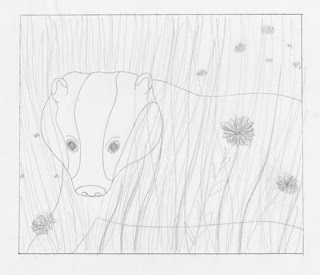 Sketch 1: the badger that is "prowling the prairie"
3. Thank you for sharing the evolution of that particular image! 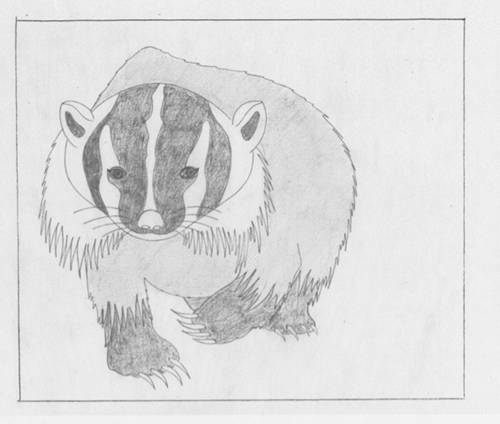 It’s fascinating to see how you add ever-greater detail to the depiction of the badger and its habitat. Do you have a writing or drawing prompt that might connect with the book? As a fun and easy warm-up exercise, I give children a sticky note and ask them to write an adjective describing a photo or painting we are observing. (There’s something about writing just one word on a little piece of paper that takes the intimidation out of writing.) Then I gather up the notes and ask the children to direct me as I arrange and rearrange their words on the wall. The results can be surprising and sometimes beautifully poetic. This prompt demonstrates how changing the order of words changes their meaning, and how a small change can make a big difference. Thank you, Susan. I know you’re already hard at work on your next nonfiction book, Spots, and look forward to sharing that one with my students, too. Thanks Mary and Susan. I also loved seeing the progression from poem to pencil drawing to final image.